Atlanta Braves outfielder Ronald Acuna Jr. arrived in the big leagues this season with lofty expectations. Though he got off to a hot start, an injury at the end of May - lasting most of June - derailed his momentum. But not for long. 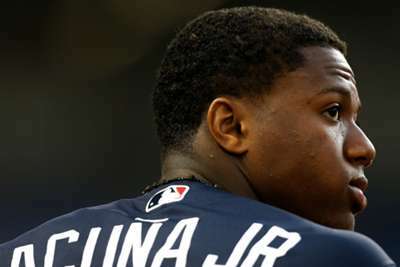 Acuna, who led the Braves to a 10-6 win over the Miami Marlins on Tuesday, collected three hits with two more home runs (19). Now with eight home runs in his last eight games, Acuna has joined the party as a true MLB star. His leadoff home run matched the Braves' franchise record of five straight games with a homer. He is also the youngest to clobber a home run in five straight games. This was the 15th time this season the Braves scored in double figures, which is tied for the most in the majors (Boston Red Sox, Cleveland Indians and Chicago Cubs). The Braves only had 13 such games last season. Atlanta (67-51) has now won four straight games, thanks in large part to Acuna's hot streak. The Braves hold a two-game lead over the Philadelphia Phillies in the National League East. 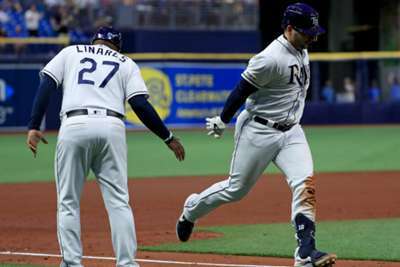 Milwaukee Brewers outfielder Ryan Braun connected on two home runs with four RBIs in a 7-0 win over the Cubs. Due to injuries, Braun's career has stalled in recent seasons, but his batting average is up to .255 with 14 home runs this season. The top of Phillies' order, Cesar Hernandez, Nick Williams and Asdrubal Cabrera, combined to go 0 for 12 with seven strikeouts (they all had at least two) in a 2-1 loss to the Red Sox. Rhys Hoskins hit a home run for Philadelphia, but the rest of the lineup was helpless against Boston. Billy Hamilton made a spectacular catch for the Reds at home to Cleveland, launching himself into the air and then depositing the ball safely in the keeping of a group of supporters in the bleachers. Colorado, trying to lock up a wild-card spot in the NL, will send Tyler Anderson (6-4, 3.94 ERA) to the mound to face Gerrit Cole (10-5, 2.75 ERA). The Astros have been struggling with injuries, which has helped the Oakland Athletics get back into contention in the AL West.